Do I have to pay anything extra to use my private health insurance? 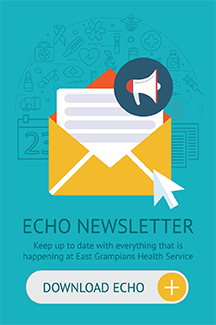 East Grampians Health Service pays the difference between what your health insurer pays and the actual costs. This means no excess, no co-payment, no gap payment and no out-of-pocket expenses. EGHS take every step possible to ensure you don’t get charged for your stay with us. If, however, you do receive an account in the mail please call the Private Patient Liaison Officer (03) 5352 9484 who will assist you. Why should I use my private health insurance? By choosing to use your private health insurance you’ll be helping the hospital provide the best possible services and highest quality of care for our community, now and for the future. By using your private health insurance you will also help us to purchase new equipment, maintain service levels and treat more public patients from our community. Guardians of a child staying overnight will receive all of the above listed benefits and will have access to a sofa bed for overnight stays. I have private health insurance but I’m not sure if I’m covered for my procedure, how do I find out? If you have private health insurance but aren’t sure of your cover level please let one of our team members know. We’ll contact your health fund and get all the details for you. Will I get my own single room? You will have preferential access to a single room if one is available. As we are a public hospital rooms are allocated based on clinical need first. Our shared rooms are furnished to a high standard and our staff will still ensure you receive the private patient treatment. Will someone be available to help me with the paperwork? To make your stay with us as stress free as possible our staff will take care of all the paperwork for you.